As far as I’m concerned, this is the coolest Christmas sweater sweatshirt ever. Or should I say warmest? Now you can celebrate the holidays with the Guardians of the Galaxy. 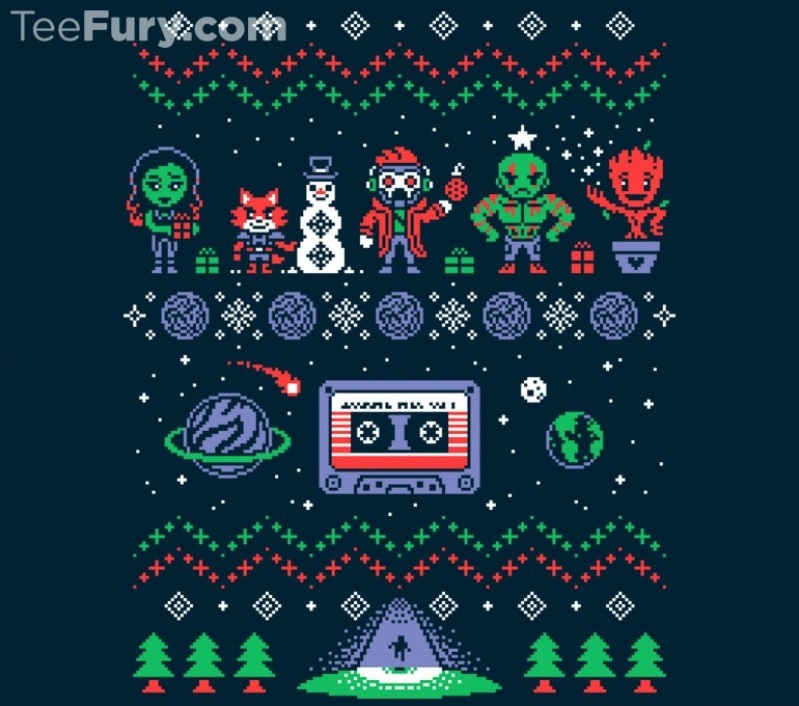 This ugly Christmas sweatshirt design by artist Drew Wise features the whole gang. It also has the orb, Awesome Mix Vol. 1 and Peter Quill getting sucked off of planet Earth. Combine all of that with the usual festive stuff like snowmen, presents and Christmas trees, and you have a winning design. The only thing that would be better is if it were an actual knit sweater and not just a printed sweatshirt. Christmas sweaters sweatshirts don’t get much geekier than this. Why are you still reading this? Go buy it for yourself before it is gone forever.